We hope you can find everything you need. B &B London Construction Ltd is focused on providing high-quality service and customer satisfaction. We will do everything we can to meet your expectations. With a variety of offerings to choose from, we're sure you'll be happy working with us. Look around our website and if you have any comments or questions, please feel free to contact us. 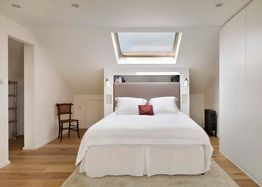 Our team construction is a specialist in loft conversions, house extensions, refurbishments and lot more. Work guarantee for loft, extensions conversion and refurbishments full or partial such bathroom or kitchen . Complete building solution from start to finish carried out by experienced work team. Copyright © B&B London Construction Ltd. 2004. All Rights Reserved. at 80 Poppy Drive, Enfield Middlesex, EN3 4FF.